It cannot get better! 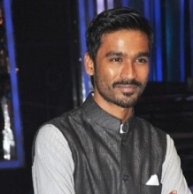 It’s now official that KV Anand for the second time after Maattrraan has joint hands with AGS Entertainments for his next project that will have Dhanush in the lead. KV Anand’s regular, Harris Jayaraj has also signed up for the project. It should be noted that this is the first time Harris is doing music for a Dhanush starrer, although Dhanush has sung a song in Irandam Ulagam for the composer. Meanwhile, AGS Entertainments has got a number of interesting projects lined up including Saraswathi Sabatham starring Jai, Aishwarya Dhanush’s Vai Raja Vai, Vadivel starrer Jaga Jala Buja Bala Tenaliraman, Jayam Ravi-Jayam Raja project and Irumbu Kuthirai featuring Atharvaa Murali. Breaking: Hip Hop Tamizha Aadhi to turn hero! After Hansika And Nayanthara, Its Going To Be Kajal Agarwal!